When Arturo Gatti died on July 11 two years ago, the conclusion of the Brazilian police was that it was a suicide; that Gatti took a strap and hung himself. It was widely suspected, certainly by boxing fans, that the fighter’s then-23-year-old wife, Amanda Rodrigues, was responsible, though questions about how she may have subdued the former world champion were left in question. The issue was not put to rest by Gatti’s manager, Pat Lynch, who hired a private investigator to shed some light on what many thought was a rather shoddy inquiry by the local Brazilian authorities. Now that investigator, Paul Ciolino, says he has a new report that would seem to indicate that Gatti’s death was no suicide. And he is going to reveal some of it at a press conference, set for August 30. There are implications, to be sure; it had been reported in The Canadian Press that three weeks before the death of Gatti, his will had been changed in such a way that he left everything to his wife, without provisions for his children or immediate family (although there is some question about that). According to one of Gatti’s lawyers, there was a pre-nuptial agreement, but Rodrigues tried to cancel it almost immediately after signing it. There is also the question of custody of the couple’s young son, who is now three years old and whom reportedly Rodrigues had threatened to take away from Gatti shortly before his death. In an effort to patch things up, they were supposedly spending a second honeymoon together in a resort community called Porto de Galinhas. But things took a sour, and ultimately, tragic turn. Gatti’s wife had a ready explanation for her husband’s death – that he was despondent over a pending breakup of the marriage. “We had an argument in the street. Then he pushed me and I hurt myself. I believe that when we got home and he saw that he hurt me, he thought I would leave him, that I would tell him to just let me go, that I would separate from him,” she told reporters then. She added that he was drunk during the argument. Former world champ Acelino Freitas, a Brazilian who was friendly with Gatti, had confirmed to a reporter that a separation was imminent. It was determined that Gatti was dead for as long as ten hours before his wife made the phone call to the Brazilian police. Originally, they locked her up, as they suspected she may have strangled him in his sleep first, with a strap that came from her handbag. But as they continued to look into it, their final conclusion was that she would not be able to lift him up for the purposes of hanging him on a staircase column that was seven feet off the ground. So she was released. The cops simply didn’t think they had enough evidence against her. Cioloni, the private eye, told the Jersey Journal (which is located in Bergen County, NJ) that the police in Brazil “did a lot of things that were not acceptable practice anywhere in the world. It was just totally inaccurate.” One thing that was missed by the local police, according to famed pathologist Michael Baden, who was hired by the family, was that Gatti’s body seemed to have fresh bruises on it, something that was not mentioned in the initial autopsy. Cioloni didn’t disguise that whatever he’s come up with – which includes statements from other scientific experts – points only to the wife, whose full name is Amanda Carine Barbosa Rodrigues. And in case you were wondering, the United States does indeed have an extradition treaty with Brazil that includes violent crimes such as murder. 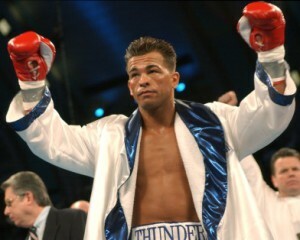 According to Gatti’s mother, Rodrigues would often argue violently with Gatti and make threats. Apparently Gatti had made some threats of his own, because just a couple of months earlier, his wife had taken out a restraining order against him, which was the result of an assault charge Rodrigues had filed against him, for which he did not show up in court. Rodrigues, a native of Brazil, was said to be a former stripper, and if so, that would have been no big revelation, since it was known that Gatti had a certain affinity for those practicing that profession. When the two met, Rodrigues was reportedly a student at the College of New Jersey, but Gatti didn’t meet in her in any classroom. Rather, it was at the Squeeze Lounge in Weehawken, a small town on the Hudson River across from Manhattan. With Rodrigues, Gatti had the aforementioned son, who was a year old at the time of his death. He also had a three-year-old daughter with a woman named Erika Rivera, but that relationship came to a halt at the behest of Rodrigues, who, among other things, was upset at the money Gatti paid for child support. “Amanda wanted to meet me and after, she told him: ‘You cannot see your daughter’,” Rivera told the Daily News. On one social occasion, Rodrigues mentioned that she thought Gatti’s daughter, Sofia, “didn’t look normal,” and used words like “Mongoloid” to describe her. At that point Gatti lost it in the middle of a restaurant. Just how badly is something the private investigator pledges to reveal on August 30.